Info: Created on 5th May 2017 . Last edited on 16th May 2017. 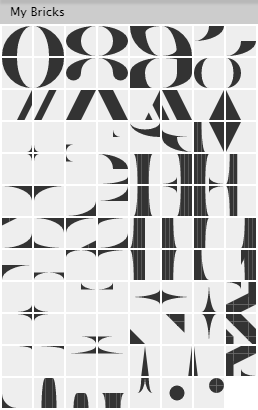 Is the render playing tricks on me or are there curves in nearly every letter, down to the tops and bottoms of stems like in "I"? Congratulations! FontStruct Staff have deemed your FontStruction worthy of special mention. “tm What Else” is now a Top Pick. You are missing zero. How are the curves possible? A very nice stencil typeface with that special thalamic touch! @Brynda: The curves are possible because this font is only two bricks tall, exploiting the potential of the curved bricks already present in the standard bricks set. Also, thanks for the heads-up on the 0. I am pretty sure I added it earlier, but it disappeared somehow. Re-added. @laynecom: Thanks so much. I am glad to learn that there is such a thing as the 'thalamic touch'. It's very tricky, I suppose, all these additions of curves… well done! 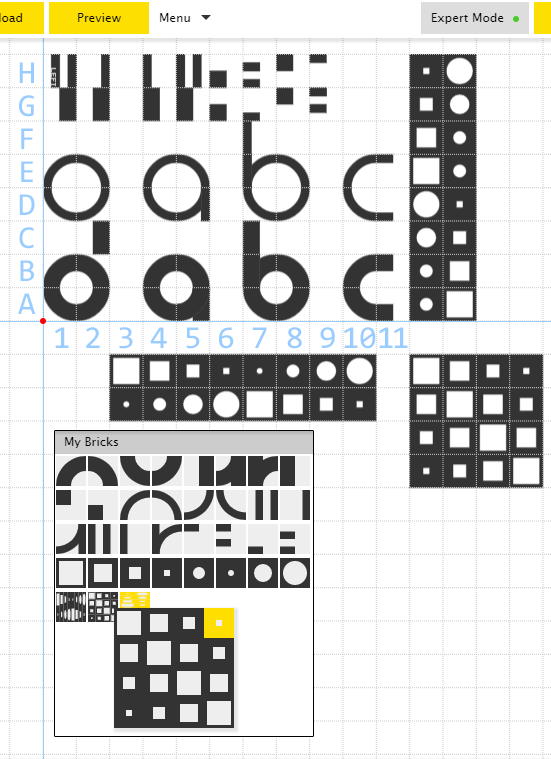 If I had your skill with this trivial tool, I'd like to create a minimal font based on very thin and large circles (cf. 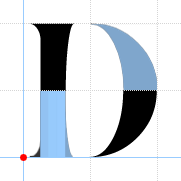 the 'abc' logo, but a lot lighter)… any clue of feasibility (even a link on this place) for a 'box-minded' beginner? Upto 16 original bricks can be combined to form a single new brick. The shape of the new brick will depend upon how the original bricks were arranged before combining. Three additional examples of combining are shown in MyBrick. It would help to experiment and figure things out on your own. @Aeolien: Thank you for your gracious comment. Much appreciated. PS of course the inspiration was the ABC 1966 logo (into two contrasted minimalist variants). Would this make a good 3? About Brynda's suggestions ("3" and "S"), I'd stick with the original, more fanciful design… On the contrary (and out of curiosity), I'd like to see such rounded parts (terminals/finals/tails/serifs…) in characters like "ZMNV". Do you still like my suggestions, dpla. The T? @Brynda: ~OK (I still cannot quite understand “The T?”, while “Composite in D” seemed a technical -advanced- question(?)). Excellent work on those subtle curves. @Thalamic Do you mind if I look inside? 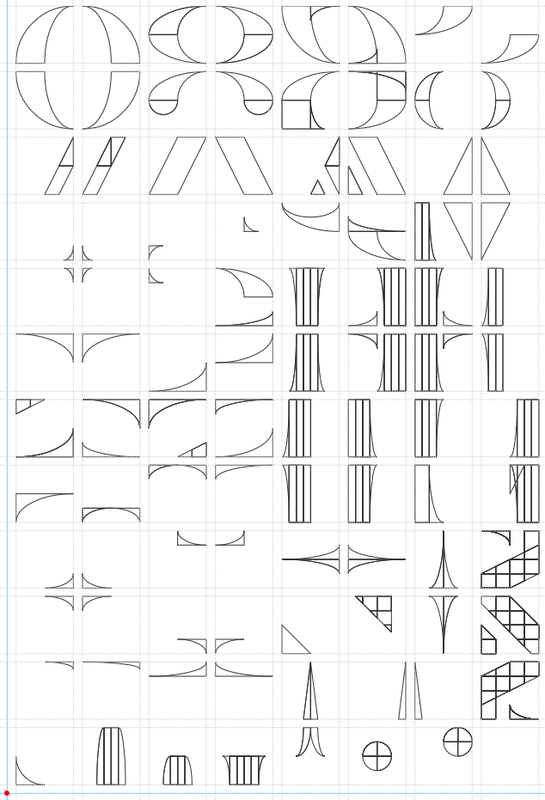 @Brynda: Here are all the bricks used in outline mode so you can see how they were constructed. 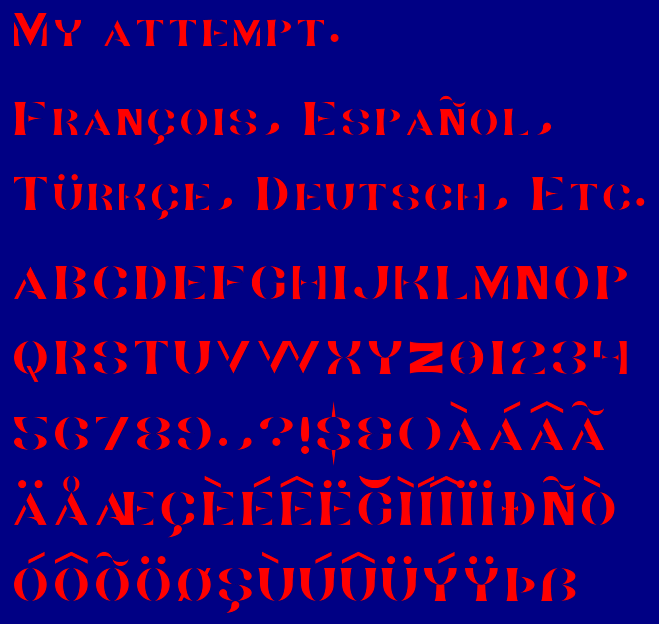 @ Brynda: your turn now to offer your font and show the image of the outlines. Again, thalamic has shown his skill, patience and understanding of FontStruct and his creative and knowledgeable mind, presenting something entirely new. 10/10 and fav. Thank You So Much your way of editing helped me make my font. Please check it out if you are reading this.